These are the chords which beginners should start on. Learning these chords will be an invaluable tool in learning your instrument. The curved lines between the notes played are called "barre" chords where you lay your index finger accross the strings to fret multiple strings. 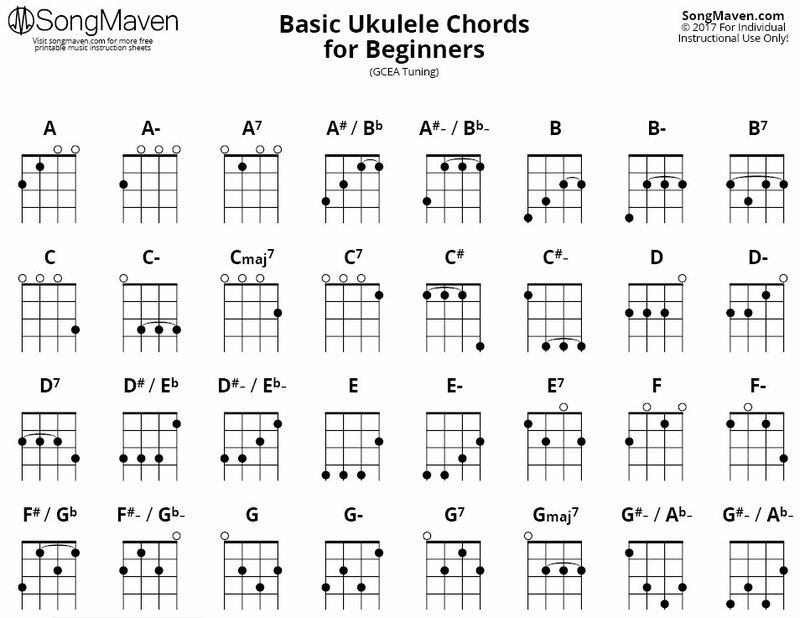 Once you've mastered these you can move on to the more advanced ukulele chords.